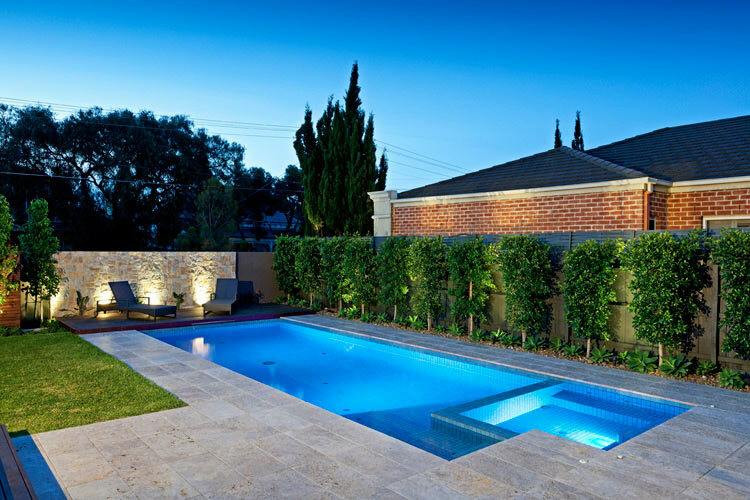 Whilst a pool can be a fantastic addition to your backyard, deciding which type of natural stone to use as coping can be a tough decision. 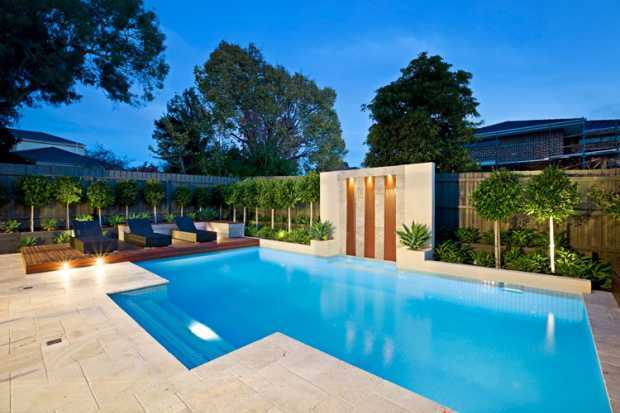 The stones that we have found most popular for paving around swimming pools are granite, bluestone and travertine – but which of these is the best choice for your backyard? In this article, we have outlined a brief guide that we hope will help you choose between these stones for the most attractive look. Granite is available in an array of colours, such as blacks, greys, whites and even peaches. 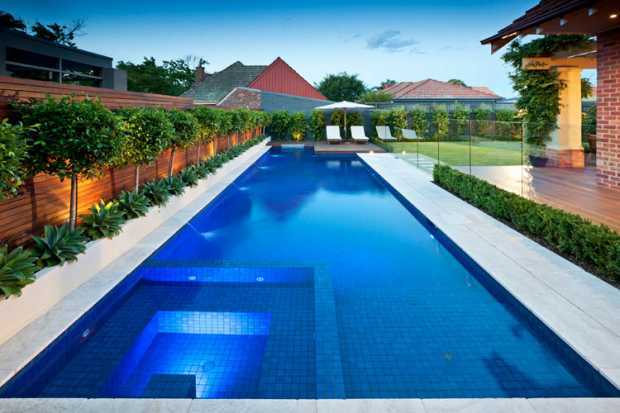 The natural speckle throughout the stone can add interest and sparkle to the pool area. 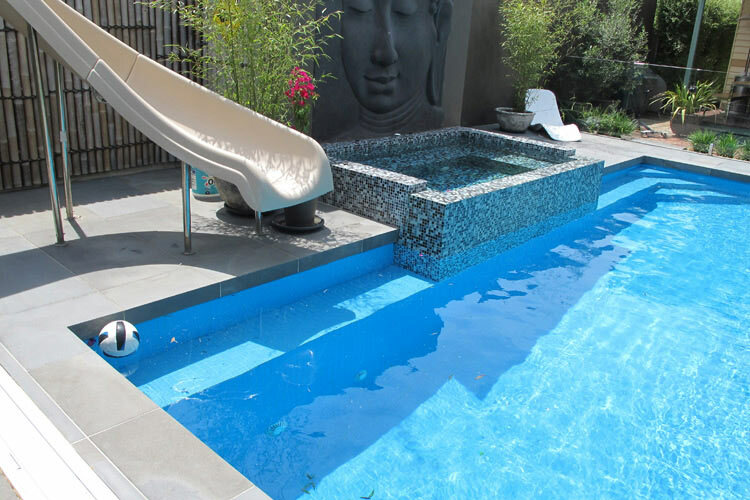 Bluestone is available in fewer shades, from blue-black to blue-grey, but is still quite an attractive choice. 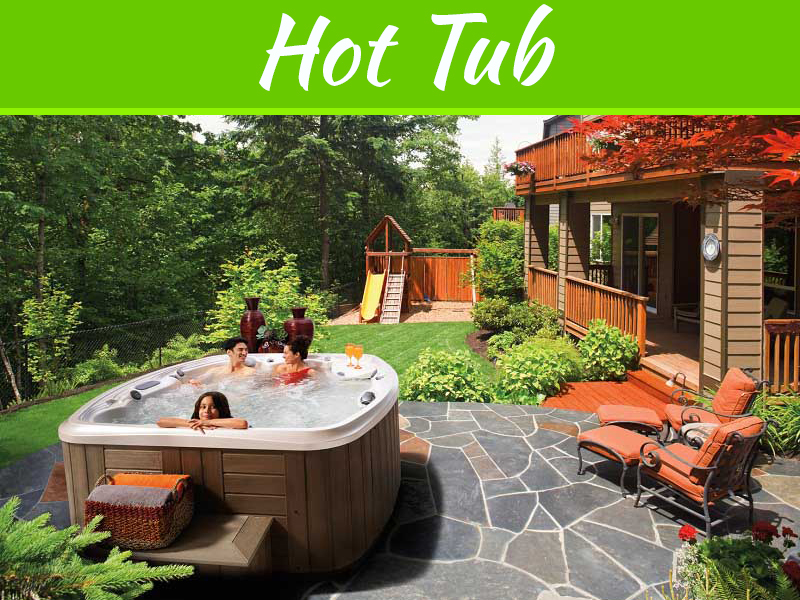 It is available in a variety of textures, which can add to its appeal. Travertine is also available in an array of colours, such as creams, browns and even silvers. Each piece of stone is unique and the patterns create variations in the colours, resulting in other shades. In terms of the coping, you will need to decide whether you want the stone to have a drop-face or bullnose edge. Dropface can have a straight or rounded edge, whereas bullnose is only available in a rounded edge. 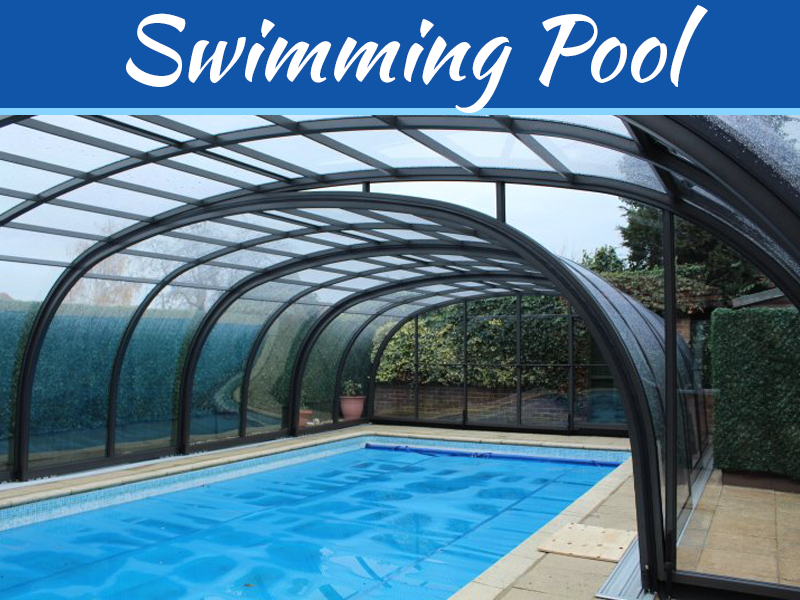 A rounded edge is certainly more classical, as well as offering protection against scrapes. We do not recommend the use of honed pavers around swimming pools, as they are very slippery (especially when wet). Granite should have a flamed surface finish, which is the highest grip available for natural stone. 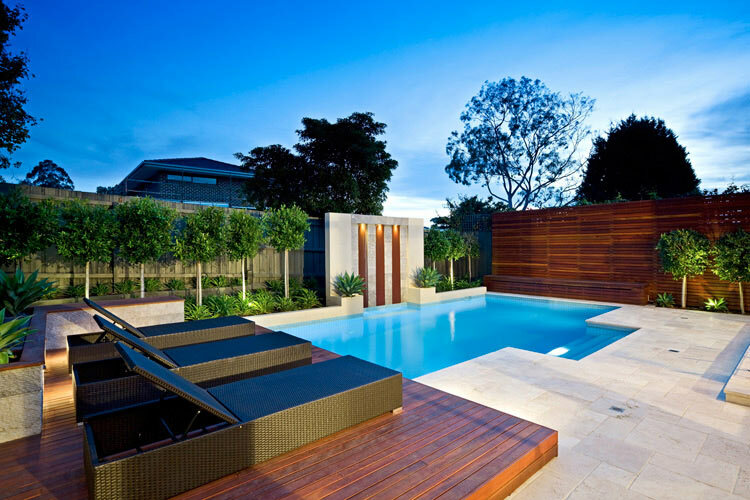 Bluestone should have a sawn surface finish, which is smooth but still possesses anti-slip properties. Travertine should have a tumbled and unfilled surface finish, which is similar to the bluestone. 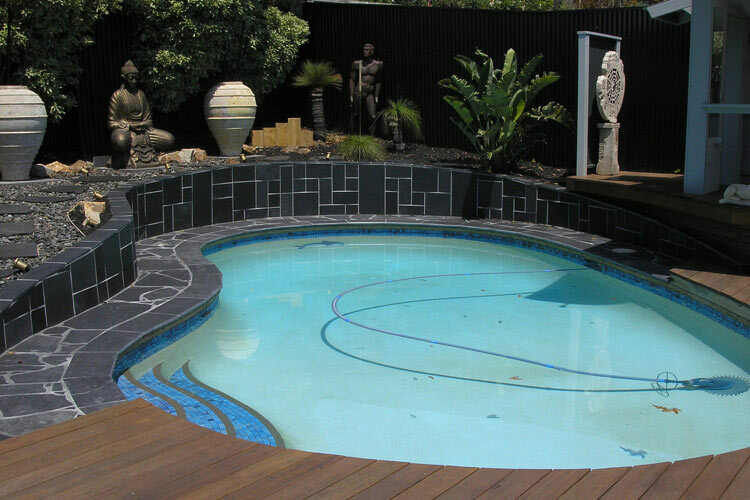 It is essential that all paving used around pools have been properly sealed, as the natural stone is quite porous. Over time, the salt or chlorine and other chemicals used in the water may negatively impact the pavers if they have not been sealed correctly (or at all). Resealing is also very important. As both granite and bluestone are cut from rock that was formed in lava, you can rest assured that they are incredibly strong. This is a result of the heat involved in the formation of the stone. Travertine, on the other hand, is formed through sedimentation and is still relatively strong. 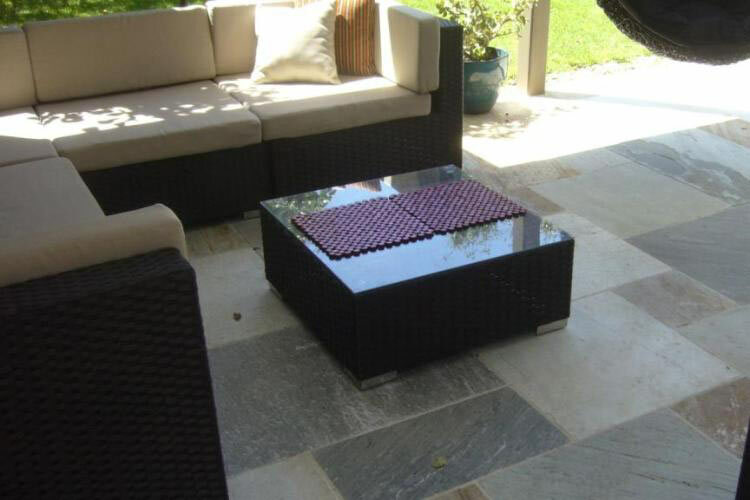 It is important to keep in mind that both granite and bluestone will get hotter underfoot during summer than travertine. This is due to the increased levels of metal and minerals in their composition. 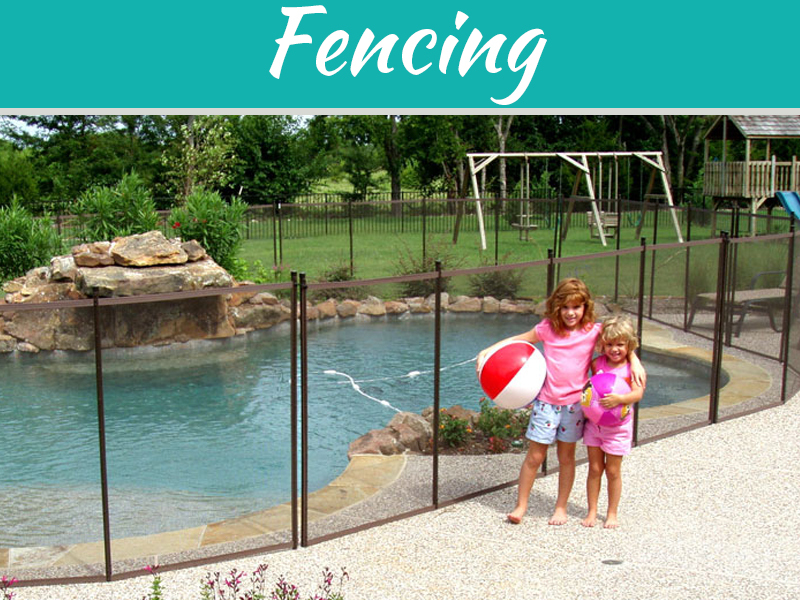 If your pool area is relatively shaded, this should not be a problem. 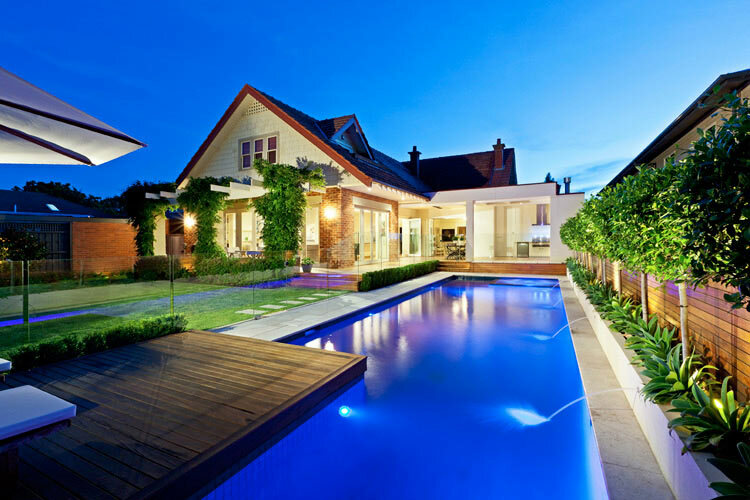 If you are trying to choose between granite, bluestone and travertine for use as paving around swimming pools, you might also like to consider the effect of glare on the area. 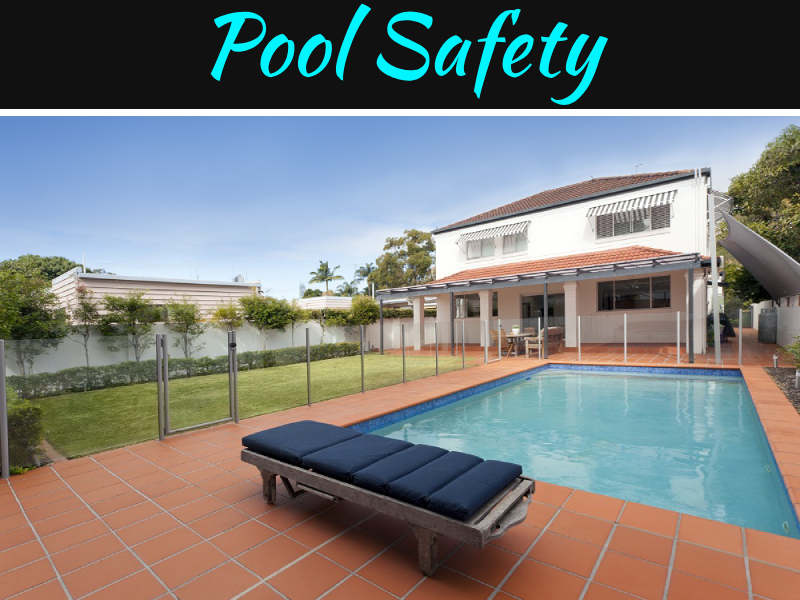 Remember that darker colours will create less glare than lighter ones; if your pool area receives ample shade, however, this should not be a problem. If you are still having problems choosing a type of stone, speak with a salesperson regarding the colours and materials in your backyard.